With over 70,000 copies of the first edition in print, this radical treatise on public education has been a New Society Publishers' bestseller for 10 years! 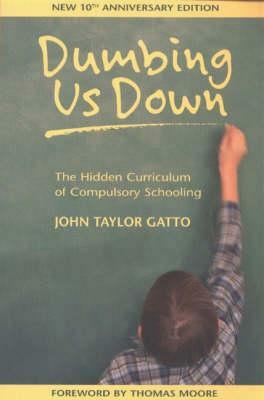 Thirty years in New York City's public schools led John Gatto to the sad conclusion that compulsory schooling does little but teach young people to follow orders like cogs in an industrial machine. This second edition describes the wide-spread impact of the book and Gatto's "guerrilla teaching." John Gatto has been a teacher for 30 years and is a recipient of the New York State Teacher of the Year award. His other titles include A Different Kind of Teacher (Berkeley Hills Books, 2001) and The Underground History of American Education (Oxford Village Press, 2000). Edition Statement 10th Anniversary ed. The Seven-Lesson Schoolteacher; The Psychopathic School; The Green Monongahela; We Need Less School, Not More; The Congregational Principle.